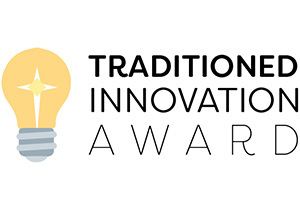 Editor’s note: Mowtown Teen Lawn Care and Youth Ministry Innovators in Vancouver, Washington, are among the organizations recently honored with the Traditioned Innovation Award from Leadership Education at Duke Divinity. The following is the fourth in an occasional series of articles about the award winners. I saw that social enterprise -- essentially, a business with a social good in mind -- represented a new kind of experiment that offered a truly new way forward in ministry. The church needs more of those. So I started a social enterprise, first, because I wanted to attempt something great -- something risky -- for God. I wanted to find a way to give myself more fully to the gospel and justice of Jesus Christ -- something more than doing the same thing over and over again expecting a different result. I wanted something bolder than the staid mainline missions efforts I had grown up with. Second, I started a social enterprise because I was tired of perpetuating disengaged faith. I wanted to help my congregation -- both youth and adults -- figure out what their Sunday faith has to do with their Monday life. I had been offering the typical camperships and canned-food drives to the low-income youth in my group so they could be part of our middle-class model -- only to see those students drift away, weary or embarrassed of being the focus of our love and charity. I wanted them to be a part of a ministry where they were full, vital participants.